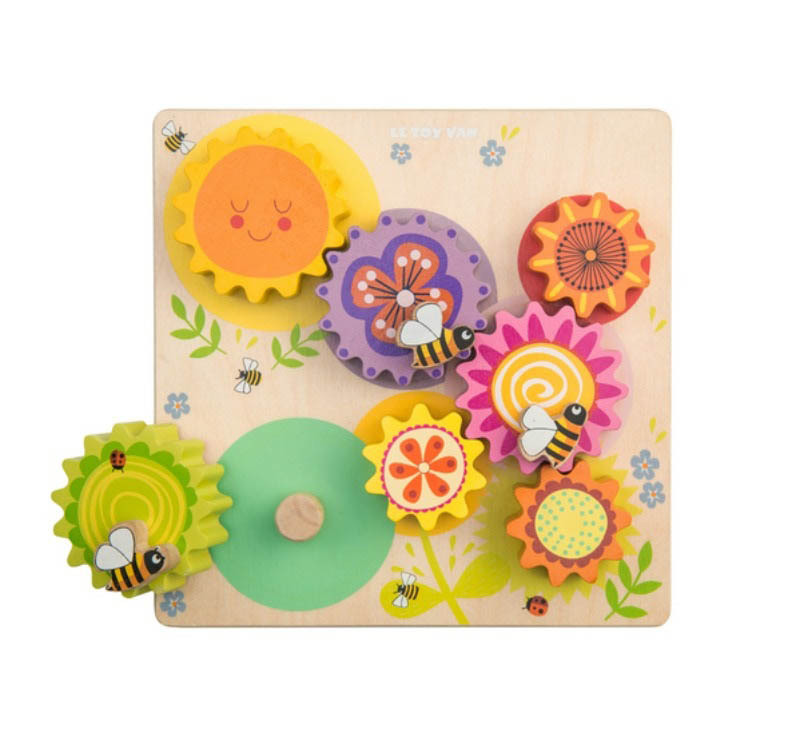 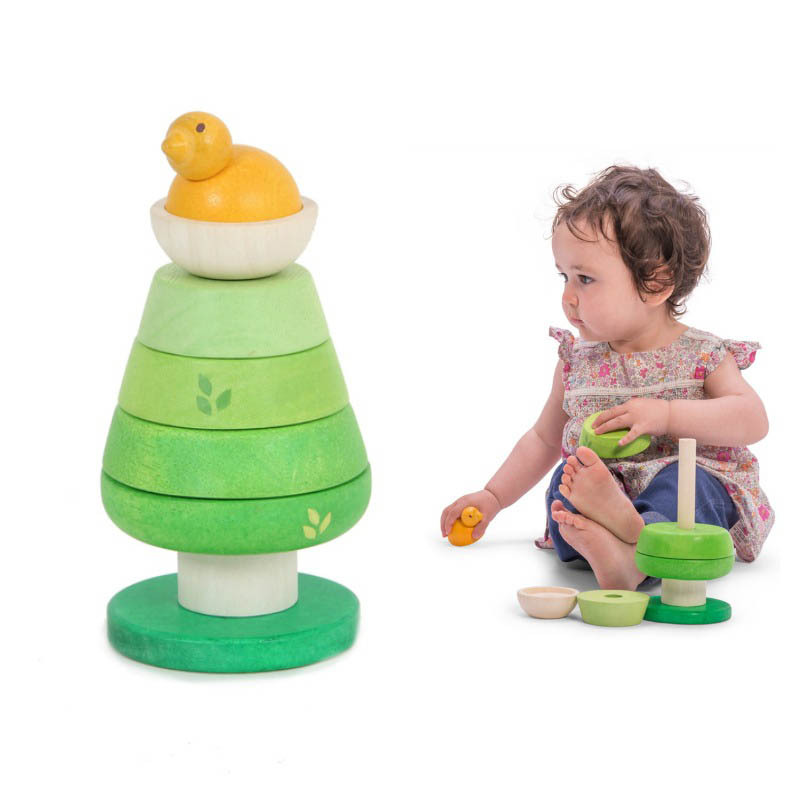 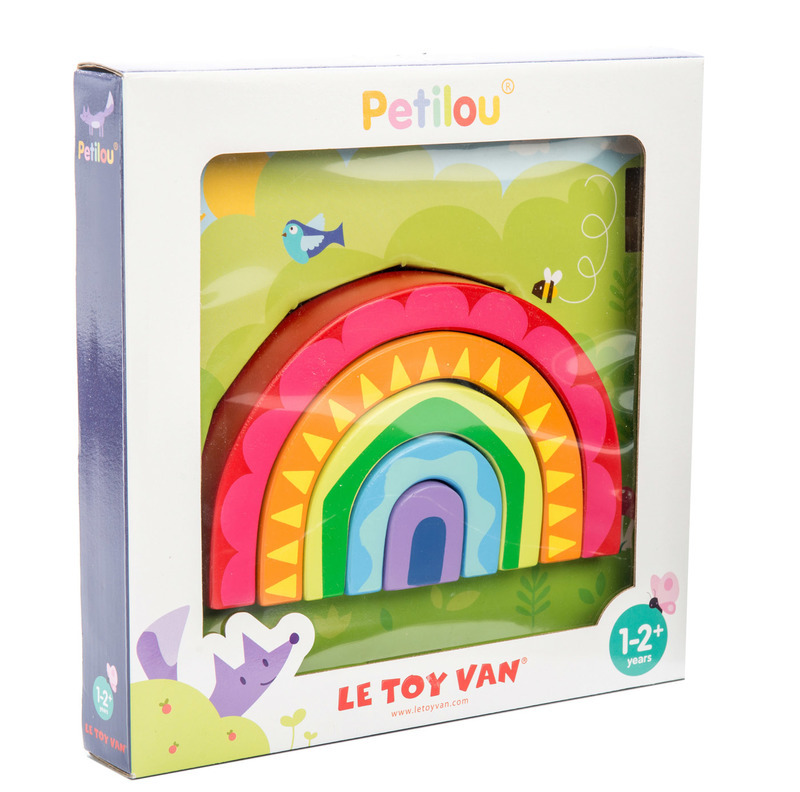 A colourful, wooden rainbow tunnel puzzle from Le Toy Van's Petilou range and designed to assist with development of a number of essential cognitive skills. 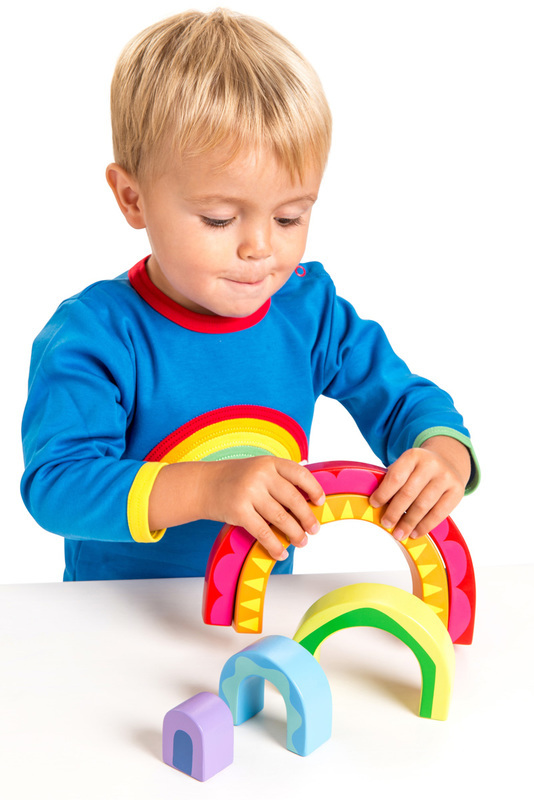 Develop problem solving skills, numerical understandings, logical thinking, shape and colour recognition and seriation (a fundamental sorting skill which relates to recognition of relative size and patterns). 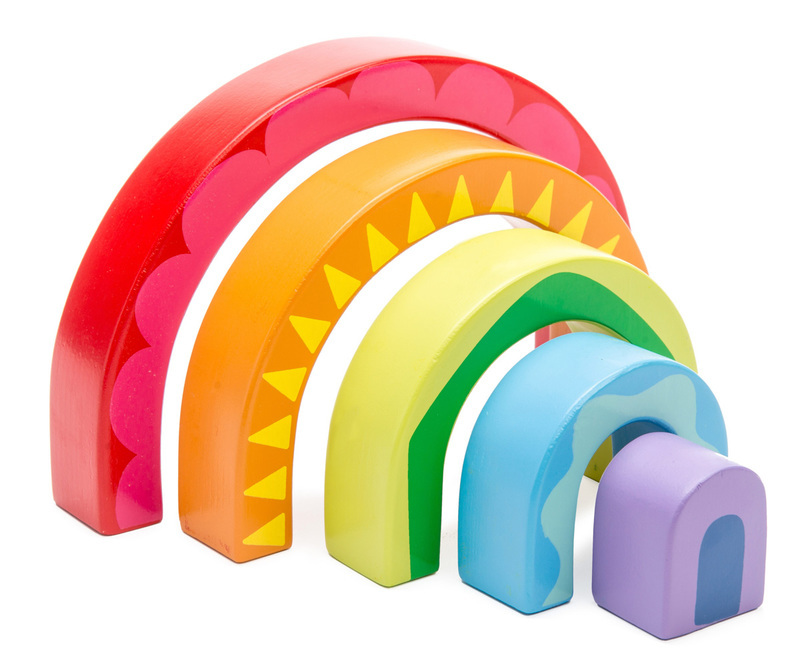 Have fun sorting and sequencing by shape, size and colour, building towers and balancing the gorgeous wooden rainbow arcs. 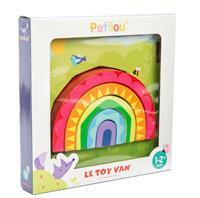 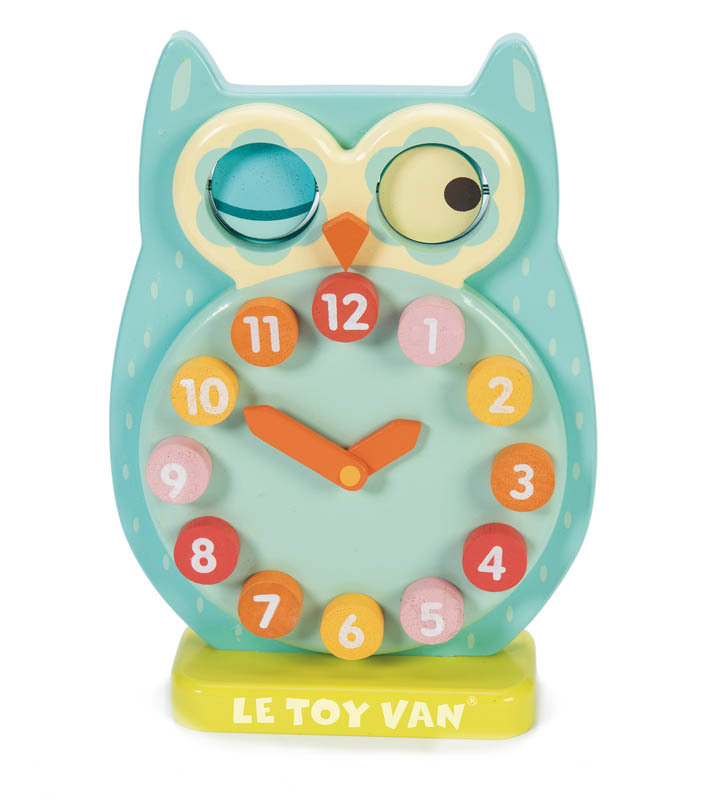 Great for encouraging imaginative play and fine motor skills.